Hi, I am in the facility. There I found a secret key, but there is also a second magic hand. So I miss one secret key. Btw. I had no problems with that swich mentioned here. I pulled it after getting three souls. Now I am in the outside area. Last edited by nad on 26 Jun 2018 23:49, edited 2 times in total. You can delete the PIX folder and the game won't freeze at all, but you won't be able to see the images and read the Diary. This is important later, because the Diary contains some hints and codes we'll use on later levels. 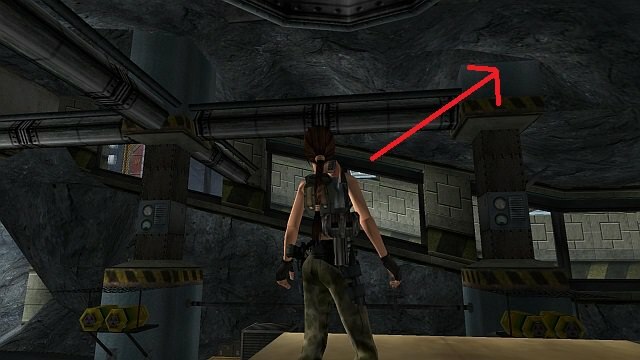 Question: when you play other TRLE levels that have images (save/load menu with image, different other readable items like diaries etc), does this problem also occur? Lima creates everything in NGLE, not in TRNG. Maybe this can be helpful? Also, I had the same problem last year, I know that Lima didn't change anything on his part. DJ Full also tested these levels, and he didn't have this problem. This problem appeared on my PC, and it did not appear on my laptop (both using Win7 OS). However, I had to delete PIX folders from other games (Mists of Avalon, for instance), because this problem then affected all other such games. Later, I reinstalled my OS on my PC for some other reasons (new mother board), and now this problem does not appear at all. And I know that Lima didn't change anything in this sense. Yes, he uses NGLE but the engine is TRNG not TREP. Anyway, I just copied the "Tomb_NextGeneration.dll" from the TR2 Remake into Lima's game folder and now I can see the bmps. I have no idea if this will have any side effects, though. Maybe you can ask Lima if this is ok. I don't want to break the game. EDIT: I did a bit of testing. Lima is using V1.2.2.6. I tried a few different dll versions now and it seems the bmps are showing when I use V1.2.2.7 or above. I don't know why Lima is using this specific version but it would be better to update or at least provide a newer version as alternative for people that have the same problem as I do. Last edited by Mr XY on 27 Jun 2018 14:59, edited 1 time in total. Lima says: "I have no idea, I've never tried it. But if it works, do it." He is also open to any suggestion and idea as how to prevent this from happening in the full version. In the Demo version, you can play even with no PIX folder at all, but later, in the Full game, the Diary will be necessary for solving some tricky puzzles. Any suggestion as how to prevent this problem from occurring is welcome! This problem occurred during Beta testing only with me, and it was also solved when I reinstalled the OS, Lima didn't change anything in this sense. I'm just trying to provide as much information as possible, in order to find the cause and solution to this problem. Ah, this is an old problem Lima pushed the Editor to its limits. You've already noticed an advanced reward system. It gets further on other levels, there are at least two more layers in the rewarding system. Also, Lima uses REALLY complex and new puzzles, global triggers, and so on. For instance, we can collect six Mega secrets (Library keys) in total, and on a later level, you will be able to use these keys and obtain other rewards. You will get one reward if you have found only one Key, or other reward if you found three keys, or the mega-giga award if you collected all six keys etc. Each player plays this game differently and gets a different reward for that "scenario". The scenario is actually written by the player, not by the builder. Depending on how you play and which bonuses you've earned, the game will be harder or easier etc. Now, Lima tried to use V1227, but then it all gets messed-up with these things. And to remove the reward system, or to remove some really nice puzzles, or to simplify the gameplay, that would be a great shame! The only way to create this kind of a game, Lima must use V1226. Or maybe one knows how to fix this in V1226?